Discussion in 'Off Topic' started by tinaxurs, Dec 6, 2015. Is is the raffle legit? We're soliciting feedback and improvement ideas for the 2018 raffle here: The Perfect Tesla Raffle Thank you in advance! 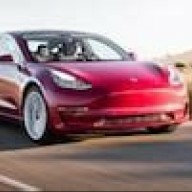 2018 Carbon Pricing Awareness Raffle just launched - with THREE Teslas as prizes!!! 2018 Carbon Pricing Awareness Raffle - THREE Teslas!